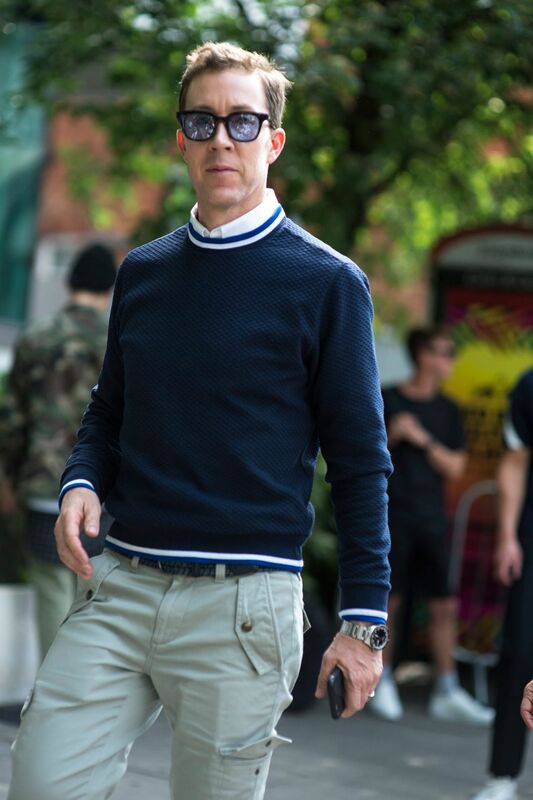 A big part of any fashion week is the street street style. Some people would say that it's more important than the actual shows, and now winding up on a blog or website somewhere is the main goal for people over any fashion event. 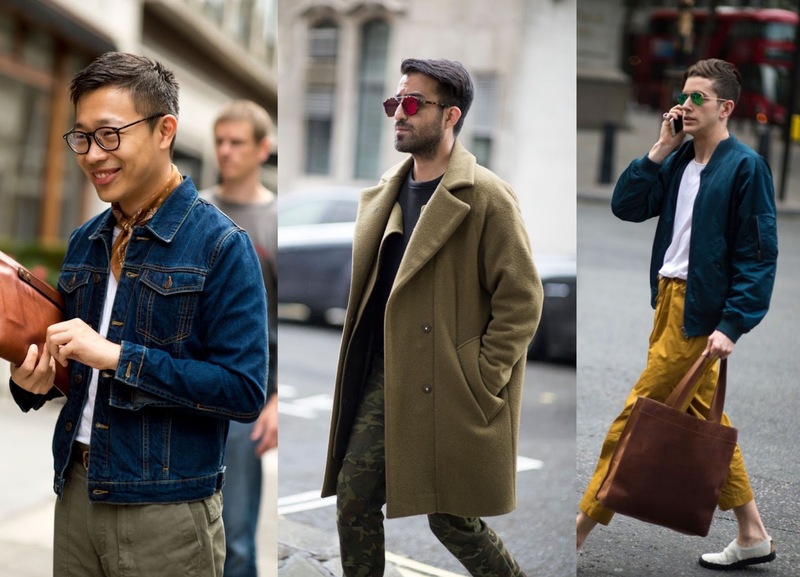 Most publishers and style bloggers will compile a list of their favorite outfits, having been out and about to photograph the best dressed of the day. 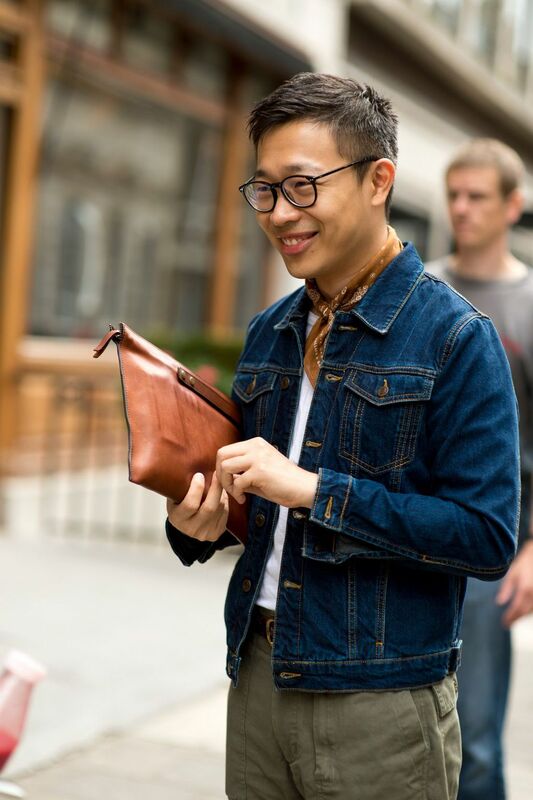 It's a great chance to gain inspiration for your own style and see what other people are wearing. There's such an array of collective styles and you never know who you'll see. Some people follow trends and other people are there to set them. 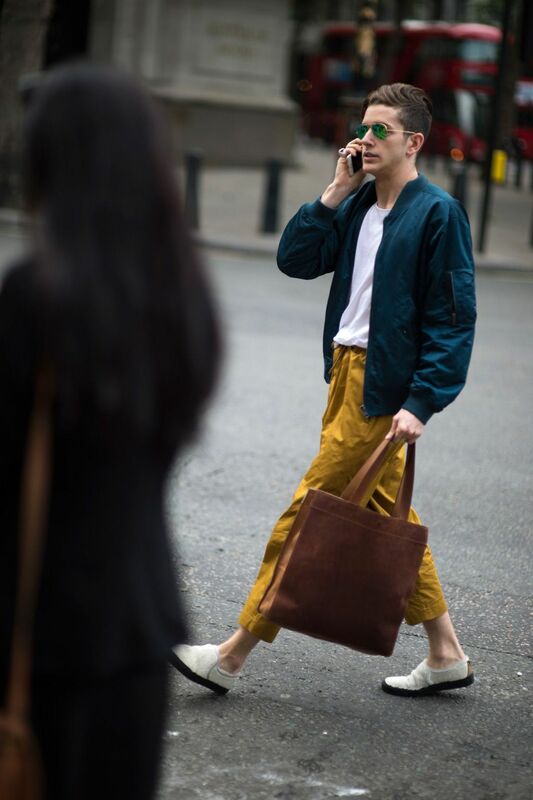 Whether its sharp tailoring or baggy sweats, I'm sure you're find a new way to wear it during LCM. I wanted to put a few looks together that I've come across online and where to shop the outfits. Some of the pieces have been hard to track down so I've found some really good alternatives instead. 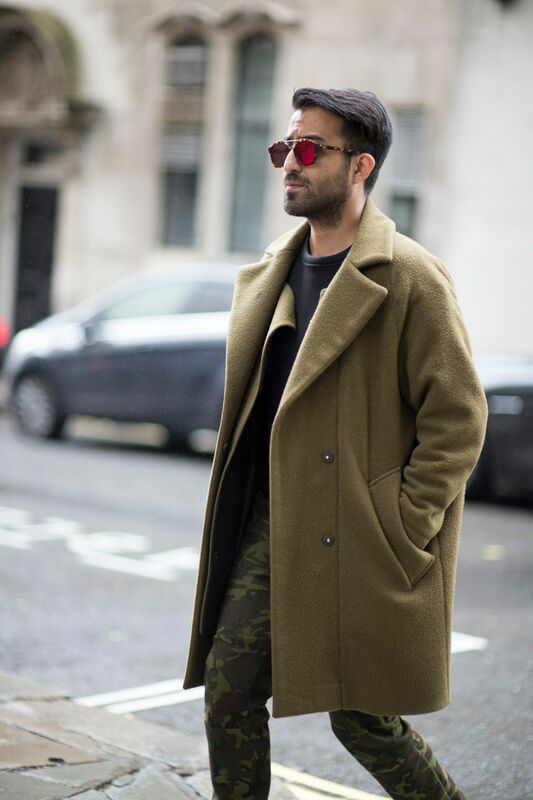 I think that these guys have been great at mixing classic pieces and throwing something different into the mix, whether it be camo which is really in at the moment, or a splash of unexpected colour.